I've just eaten a yoghurt, voluntarily. I also bought said treat, several days ago. In fact, it was past its sell-by date, but obviously you couldn't possibly tell by taste. The last time I ate a yoghurt was in October, 2017, at the Arcow Quarry, near Horton-in-Ribblesdale, North Yorkshire. 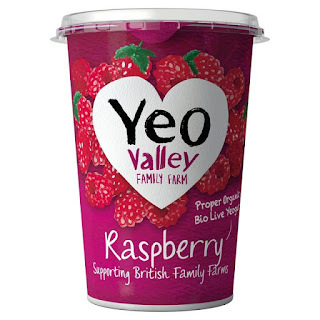 The first, and only other time I've eaten a yoghurt was on Shap Fell, near Penrith, Cumbria, in November, 2013. That's quiche and yoghurt. I'll be trying pizza or pasta next, NOT. I'm off to the fridge to get a Mars bar. PS It was raspberry flavour. Don’t let the fact that yogurt is essentially gone off milk full of bacteria deter you from trying another in 2019. Forget about quiche because real men don’t eat it. I think you would like pizza as it’s basically Welsh rarebit with a bit of tomato and few herbs, which you could always scrape off. Pasta is only boiled flour and water – what’s not to like? Mars bars are full of goodness if you believe the old adverts. And they will help you to work, rest and play if you eat one every day. I’m pretty sure, but don’t quote me on this, that they are even healthier deep fried. If you call a quiche by its original name, egg and bacon pie, it's much more acceptable to men. Hahahahaha... I got in trouble for eating the last yogurt in the fridge yesterday. I repeated what I get told all the time, "You snooze, you lose." Be well!